Call (801) 447-2352 for a Quote Today! Family owned and operated, Farmington Service and Towing has been on Farmington's Main Street for over 30 years. We offer the most affordable inspections, diagnostics, and quality auto repairs in town guaranteed. "I think I finally found my auto service repair shop. Farmington Service and Towing is simply amazing." We use the latest diagnostic technology to provide high-quality service and quick turnaround at Farmington Service and Towing. We offer quality and affordable auto repair and service on all makes and models. We are able to diagnose problems that other shops can't. 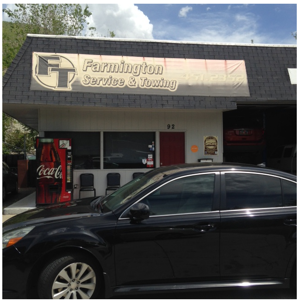 "The guys at Farmington Service and Towing are always fast and honest when I've been there. I appreciate it." Call us today at (801) 447-2352 for all your auto care needs!